As participants in the "Digital Age," countless aspects of our day-to-day lives have evolved with the acceleration of technology. 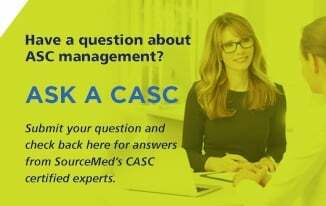 But some areas progress faster than others, and in the case of outpatient healthcare, many facilities are behind the times when it comes to effectively adopting technology that can improve revenue cycle management (RCM). Outpatient RCM is ripe for change. There is so much information to collect, track, and analyze – patient insurance information, claims, accounts receivable, inventory and supplies, etc. – and it's historically been accomplished with paper files that are copied and mailed or faxed between stakeholders. But the traditional way is no longer the best way. Today's market boasts unprecedented technology to digitize that information – which also makes it secure, searchable, analyzable, and cross-referenceable. So why should you gain the technology and lose the paper? How do you do it, and who should be responsible? 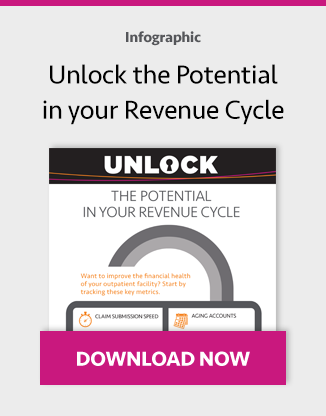 There are many reasons, including benefits to patients' overall experience with your revenue cycle. But a significant one we're going to focus on here is analytics. We've already discussed how important analytics are to strengthening revenue cycle management and improving cash flow. A robust analytics foundation is also increasingly critical to the long-term viability of outpatient facilities as the industry transitions to value-based reimbursement. Most of today's revenue cycle systems were built to address a very specific workflow – typically 2 or 3 types of reports – and don't deliver much in the way of flexibility and access to information. Going forward, it will be essential that facilities can access and analyze all of the data they collect in order to understand and optimize revenue cycle health – insights on key performance indicators (KPIs) like AR days, collection rates, supplies that are part of the procedure and how long it takes to bill. This is especially true as payment is becoming tied to patient satisfaction, which includes things like billing and collections practices. Analytics enables you to recognize trends within the KPIs. If you can't identify variances from "the standard" statistics for your center (whatever your standard may be), then you won't be able to identify the root causes that could be impacting your revenue cycle. But if you have easy access to all that information – which is only possible when the data is digitally stored – then when problems arise, you'll be able to use analytics to identify which corrective actions need to be taken. Approach going paperless as an evolution. First, look at analytics from an organizational perspective – what your revenue cycle goals are and what data you will need to achieve them. Then define a strategy for selecting and adding technology that will deliver the relevant information that can communicate with other solutions you already have in place and that makes the most sense based on your key resources – budget and staff. Start with goals that are easily achievable and then follow your plan, which should prioritize the data that will allow you to understand your operations and where the money is coming in and going out. You also need to think through the logistics of deploying new technology and the implications of workflow and employee training. User education is critical to maximize adoption and ROI. It's also important to plan the way you intend to insert technology into your existing operations, including ensuring interoperability with other key systems you are already using, so that it delivers the most value to you and your facility. There's no time to waste. Start now. You won't know how to make the right operational decisions for your business without using analytics to evaluate your revenue cycle health. And if there is a problem within your cycle, if it is not found and mitigated early on, it could mean financial failure. To do this, your data needs to be digital. Additionally, in value-based care networks, payers and providers need to collaborate. But if there are flaws in your system and you're unable to provide timely claims or you provide bad information, then insurers may feel they are unable to depend on you and may pull out of your collaboration network. 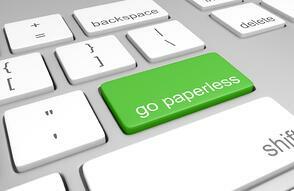 Going paperless now will set your facility up for the future. Once a solid foundation is in place, you can start using predictive analytics to anticipate what's ahead and mitigate problems before they happen. You can't do that with paper. The providers who are able to collect and analyze holistic digital information about their business, and then use it to make strategic clinical, operational and financial decisions, are ultimately the ones who will succeed in the value-based, connected era of revenue cycle management.